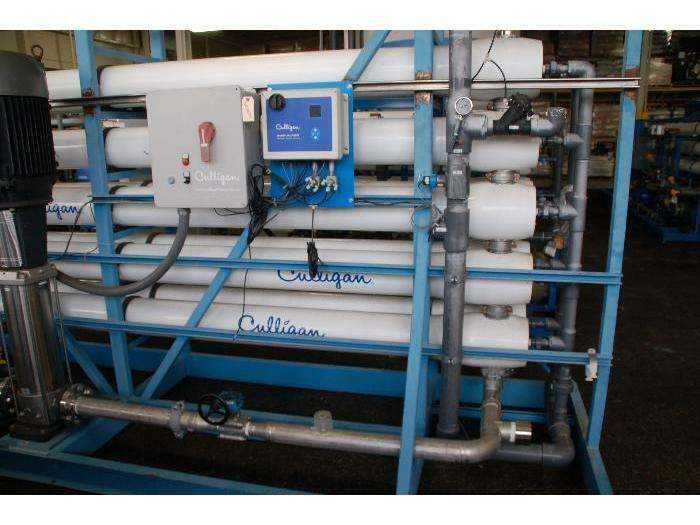 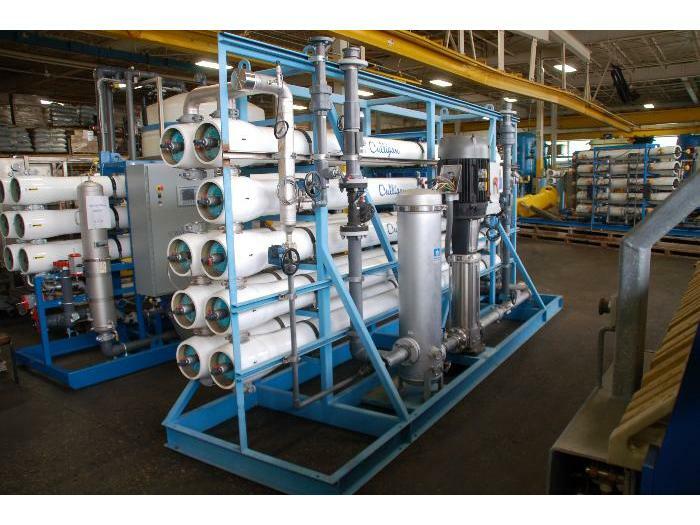 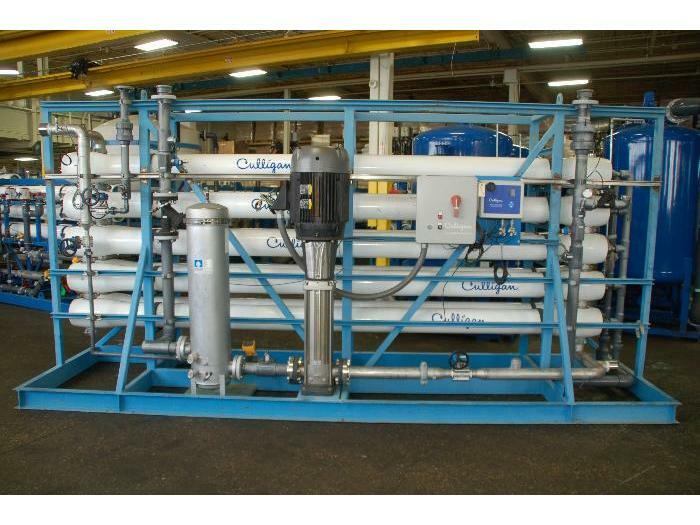 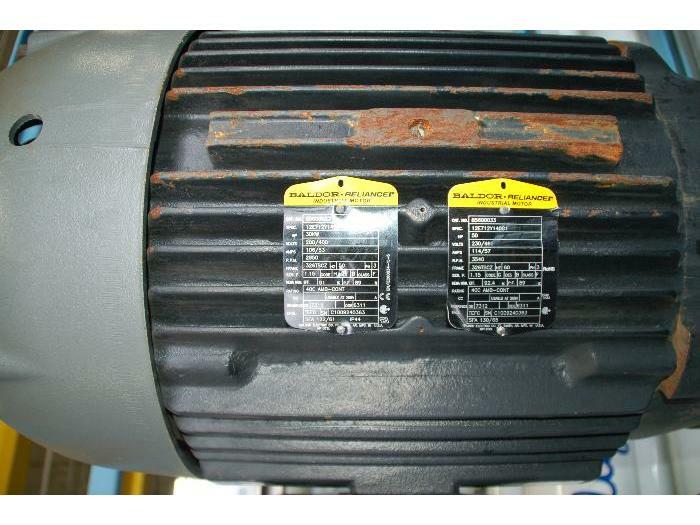 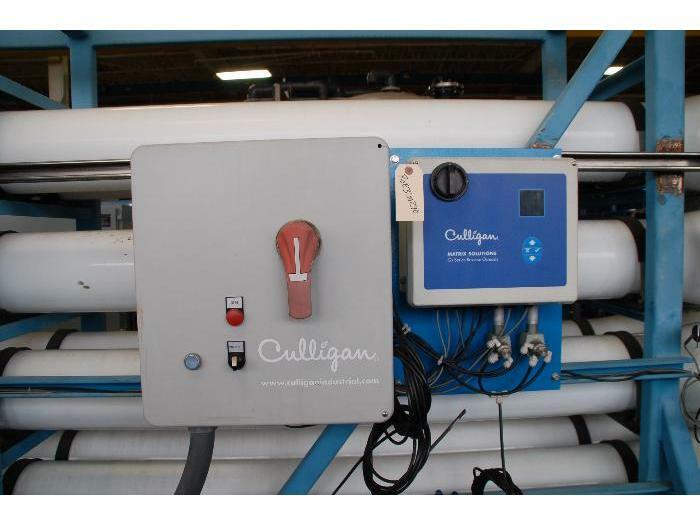 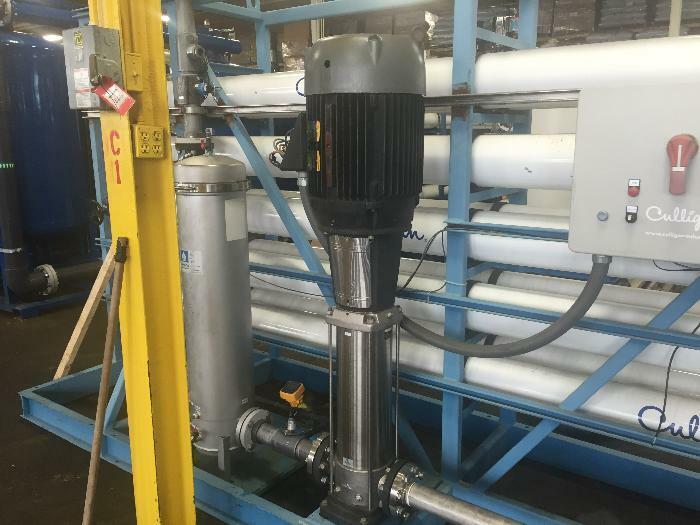 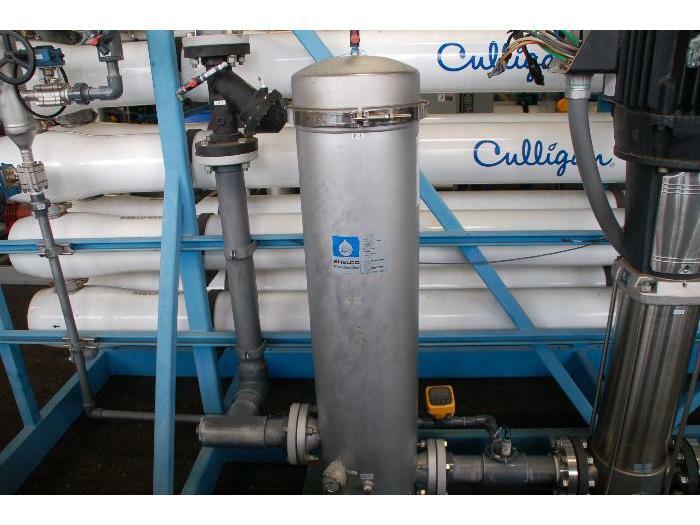 Culligan RO Unit with 300 PSI Wave Cyber housings, Shelco 12R40 cartridge filter housing, Grundfos CRN45 vertical multi-stage pump, 50 HP Baldor motor, 230/460 Volts 60 HZ 3 PH power requirements. 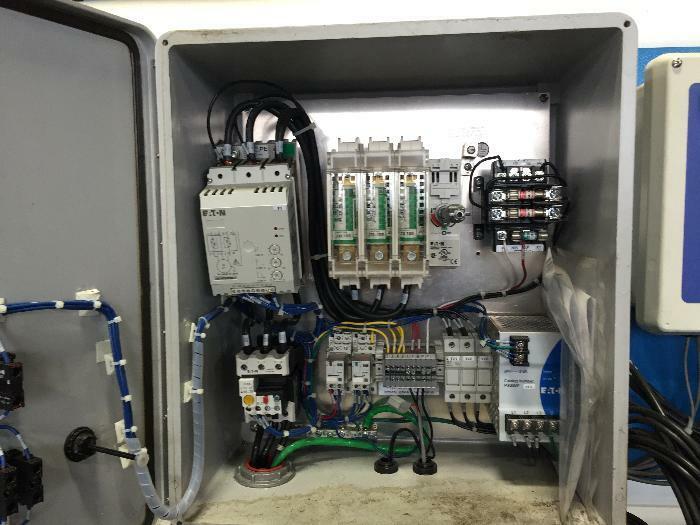 This unit is equipped with a Eaton Cutler-Hammer DS6 Soft starter controller and a Culligan Matrix Solutions flow and conductivity meter monitor. 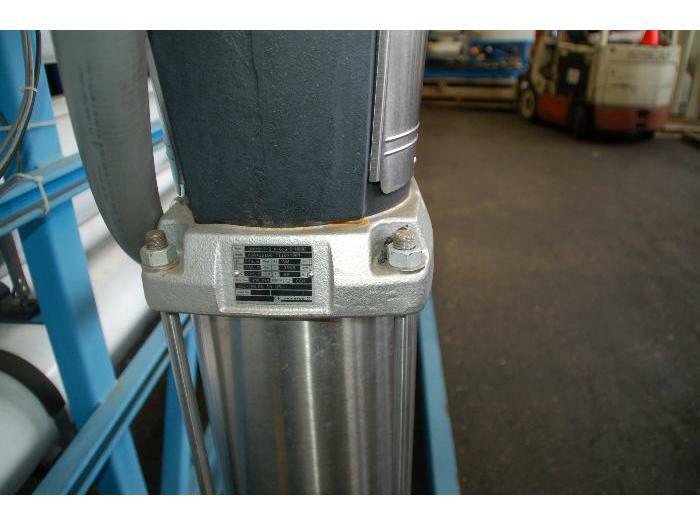 Shipping dimensions are 186.5" L x 52" W x 96.5" H. NOTE: Current web price is an "as is where is" price. 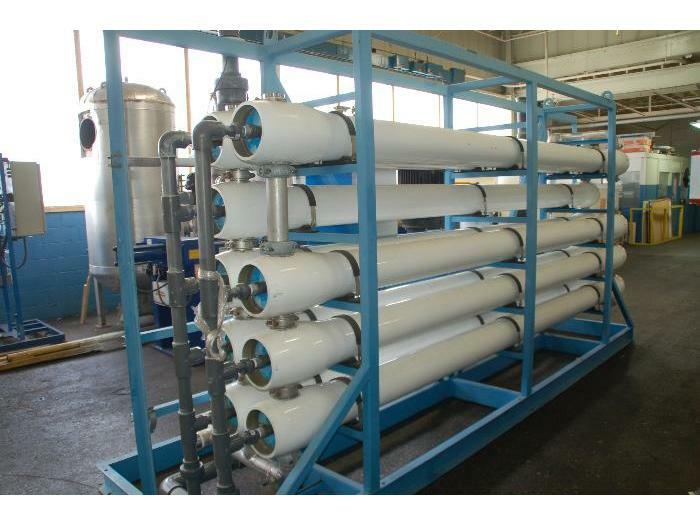 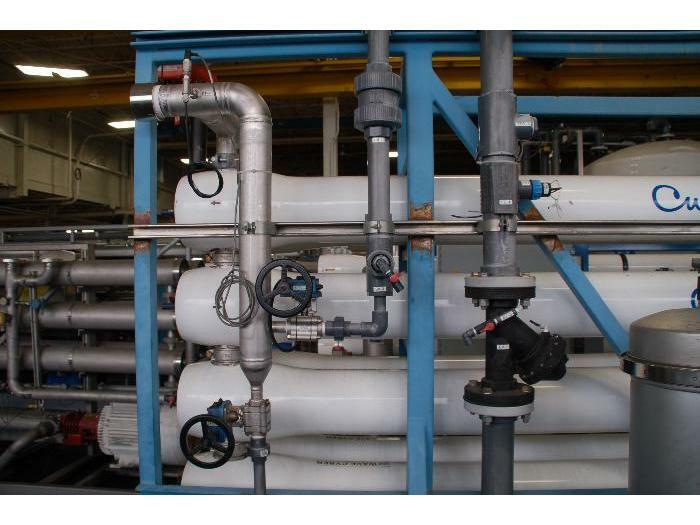 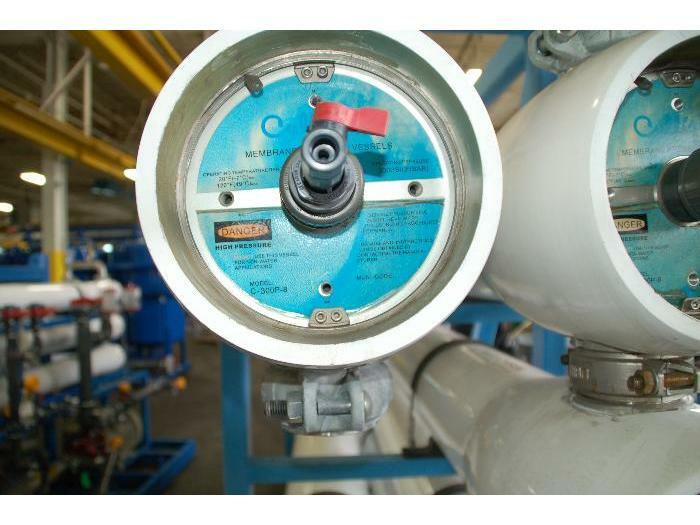 Complete system refurbishment/wet test can be provided upon request.